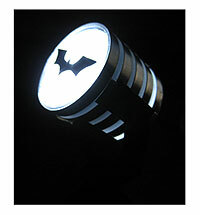 For both the most recent Batman films, Batman Begins and The Dark Knight, Batman's logo was redesigned. 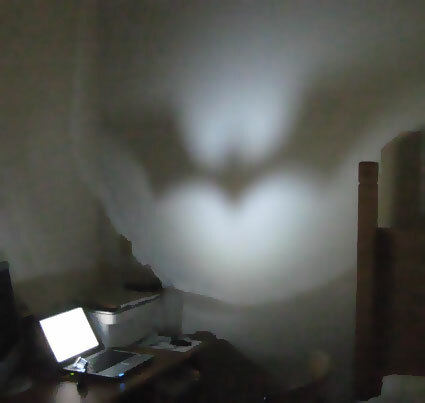 The new version looks completely different from the comic book original, but although the image might have changed, Commissioner Gordon still calls up Batman for a night's crime fighting by use of a spotlight shining the image of a bat up on to the clouds. Mind you, it does make you wonder how they call him on clear nights. Anyway, the time has come to make your own Bat Spotlight. This project starts with a cheap USB Laptop light. Making one from a USB laptop light is really easy and very cheap. USB PC lights cost as little as 50p ($1) and can be bought online from Amazon (see link) or many other retailers. The beauty of "hacking" a ready-made USB LED PC light is that the LED has the correct resistor for the 5V USB power supply and the plug that you need is included. Of course you can buy the LED, resistor, wire and USB plug separately and it's then a very simple job to wire them all up.
. . . A simple project like this is a perfect way to start beginners soldering and making electrical circuits, and you get to find out what the inside of a USB plug looks like. Obviously you must take care with soldering. Soldering irons get very hot and will give you a nasty burn if mishandled, so supervise children using soldering irons at all times and use your commonsense. 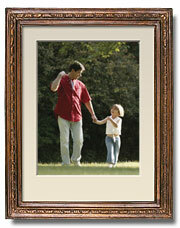 Turn off the soldering iron immediately after use and do not leave any trailing flex, which is easy to trip over. Lastly, part of this project requires Super Glue (cyanoacrylate), which should never be used by children. It is very easy to stick your fingers together, or worse, your eyes if you happen to scratch them with gluey fingers. 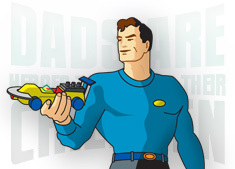 The small part of this project that requires Super Glue should be carefully done by an adult.
. . . This is an amazing project. A simple beginning using the top of a shampoo bottle, turns into something that looks so cool in the day, but at night looks positively wicked. I used a translucent cap from a cheap supermarket, own label family sized bottle of shampoo, but any translucent round (barrel shaped) cap would do. It is best to use translucent plastic because the real spotlight has heat dissipation vents at the side and these let some light out, which gives the spotlight those characteristic glowing rings. 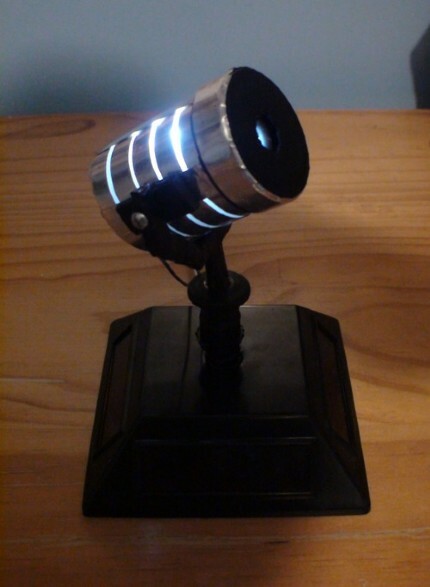 For this model, so that the light coming out of the side of the spotlight isn't too bright, the spotlight is lined with some foil. However enough light creeps out to give a really good effect. When your light is finished you can shine it up onto the wall, and because the USB PC light came with a high brightness white LED, you get an absolutely fantastic effect, just light the real thing. 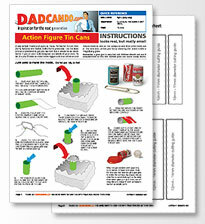 As usual our instructions are of the highest quality, and as you'd expect from dadcando, beautifully illustrated, easy to follow and quick to download, and give you all the templates you need. They are available in both A4 and US Letter size. 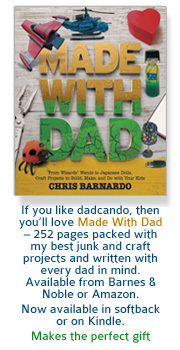 Just click on the one you want to download, and you'll be ready to start making. 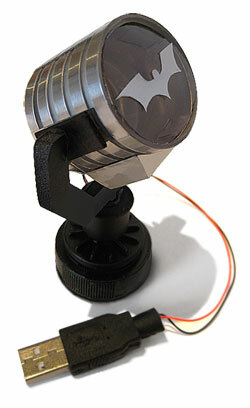 Don't forget to upload pictures of your finished Batman Spotlight. This is what I used for the Electronic parts. 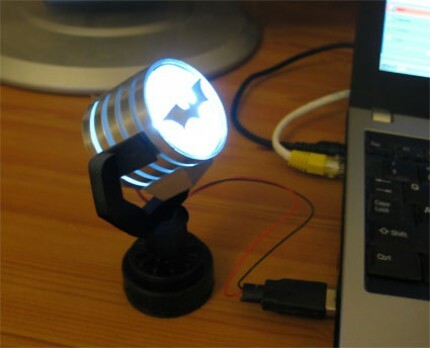 The very cheap mini USB LED light is just perfect as a starting point for making your USB Batman Spotlight. It has the LED you'll need (with correct resistor), a short length of wire and the USB plug, in fact everything that you will need to make the light work properly, I don't think that you can buy the individual components any cheaper. Posted by spoleweski - Version 2 Includes a rotary display so that the light sweeps back and forth across my room. Posted by chris - Just like the real thing, only about 100 times smaller and 1000 times cuter, looks really nice sitting next to my computer.